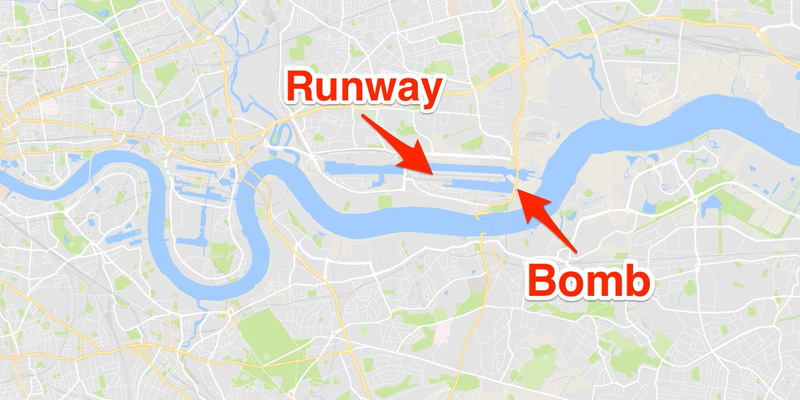 London City Airport closed down on Sunday night after a World War II bomb was found nearby. Workers found the unexploded device at the King George V Dock by the River Thames. Unexploded bombs dropped during World War II are often found in London. All flights in and out of the airport on Monday have been canceled. 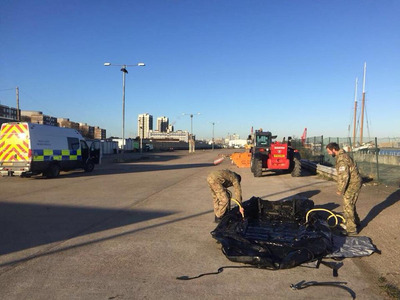 An airport in east London has been shut after an unexploded World War II bomb was discovered nearby. 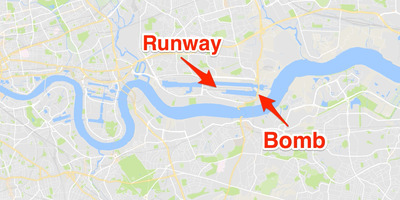 London City Airport closed down at 10 p.m. GMT (5 p.m. ET) on Sunday after workers found the unexploded bomb at 5:06 a.m., the London Metropolitan Police said. They had been carrying out preplanned work at the King George V Dock by the River Thames. The area where the airport now stands used to be an industrial center, and it came under heavy bombardment from German planes during the war. Unexploded ordnance still occasionally turns up during construction work. The bomb found on Sunday is a 500-kilogram tapered-end shell, measuring about 1.5 metres (4.9 feet) long and stuck in dense silt, the Met added. Chris J Ratcliffe/GettyLondon City Airport’s runway, as seen in December 2016. 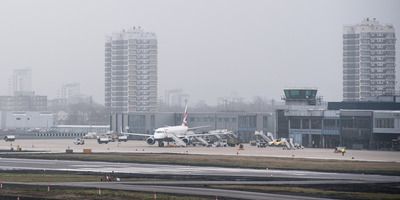 The airport was closed for all of Monday, with all flights in and out of London canceled. This will affect 16,000 passengers,an airport spokeswoman told the BBC. Police officers and bomb specialists from the Royal Navy have closed off the surrounding area and evacuated local residents while they deal with the device. 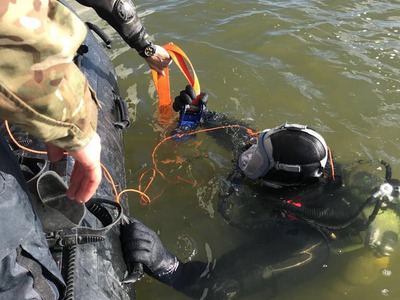 They plan to remove the bomb by digging it out of the silt and then floating it into the Thames. The photos below show members of the Royal Navy bomb-disposal team working at the scene. 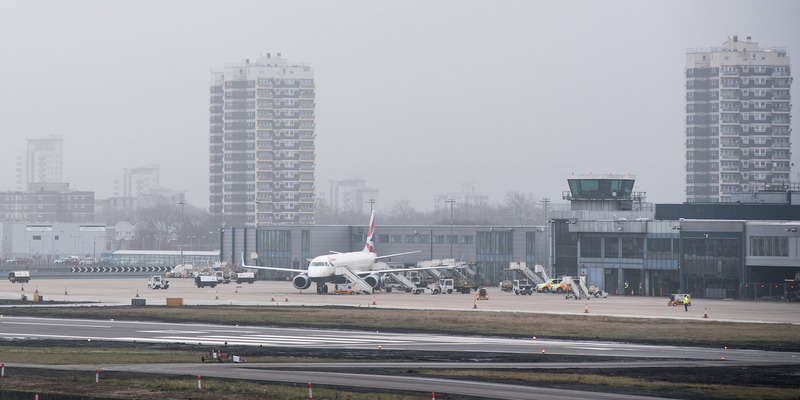 London City Airport operates flights to and from the UK and Europe, as well as New York. More than 4.5 million people used the airport last year. Robert Sinclair, the airport’s CEO, said the airport would reopen Tuesday, with flights resuming at 6:30 a.m. He told passengers due to fly on Monday not to come to the airport.